Is Yelp hurting small businesses? “The challenge is, of course, for small businesses or medium sized businesses the Yelp process has come under a lot of scrutiny.” Listen in to find out the hidden risk behind peer ranked sites. Welcome to the In The Clear Podcast. I’m your host Justin Recla along with my gorgeous wife Tonya Dawn Recla. So this week we’re taking on a giant. This week we are looking at Yelp. Yelp and the hidden risk behind peer ranked sites. Maybe I’m going to explain my comment. So, you are talking about taking on a giant; which then my mind went to Goliath; which then that led me to David and then I envisioned the rock and a slingshot. So, that’s where that one was going folks, but make no mistake about it you know Yelp kind of runs the world. I like to joke all the time that you know Apple runs the world or Google runs the world. I don’t know that that’s a funny joke but Yelp has become its own noun or verb. It’s a thing that they did a phenomenal job becoming a household name. Kudos to them for doing so! Absolutely! We love these success stories. You know that started off as some folks sitting around talking about what would be great. that’s the story of my most phenomenal businesses. The challenge is, of course, for small businesses or medium sized businesses the Yelp process has come under a lot of scrutiny. Yes, a lot of scrutiny. There’s a lot of people that are opting out of Yelp because of the methodologies that they use to make sure you’re paying your monthly bill. So, here’s a challenge, you can’t opt out of Yelp. You cannot. Somebody else can just opt you in. You cannot as a business opt out of Yelp because all it takes is someone else going in and setting up a profile. Is that correct? Can anybody still do that? Yes, as far as I know they can. A client can go and leave a review on your business even though you are not a member of Yelp and leave a review on your business. Good, bad, or otherwise and now your business is part of Yelp. Right, which is not a bad thing. You know people think exposure, exposure, exposure. The challenge, though, if people are looking for positive reviews and either you don’t know that you’ve got a profile out there or you’ve got a couple negative reviews and that’s all that’s showing. It is possible that even though maybe you’ve got some positive reviews they may not be showing. “Gasp!” Could that happen?! Is that a thing. Say it ain’t so! Of course it’s so folks! How do you think these companies make money? Yelp is free to the end user. There is no charge for that Yelp app or when you visit Yelp dot com you can search all day long how do you think that business makes money. Well, of course traction and ads. One of the ways they make money is through these business profiles. And if your business has reviews on the site and you’re not a paying member, if you’re starting to get negative reviews. Guess what? You’re now a paying member. It’s the only way you’re going to be able to monitor those reviews. So, again you know the Yelp process has kind of come under scrutiny a little bit. I’ve heard stories of people completely opting out of Yelp and whatever is on Yelp they just let it go. They just let it be and they address things with their client base on a more personable level. Those businesses that are opting out are typically smaller mom and pop shops that you know have a client base that knows them personally. So, if you’re a small business that is wanting to grow. You can’t really opt out of Yelp, you kind of have to play their game. So, there’s a way of going about doing that, and part of it is one being aware of what’s out there on you. Then that can be challenging too. So, what do you do if you’re a small business and Yelp comes knocking on your door and says “Hey, you have to pay this much money a year for your profile or we’re going to limit what reviews get up on your site.” What do you do when that happens? Then that’s a personal question for every business. Do you want to play that game or do you not? It’s like the mafioso techniques that we’ve seen with other sites and other folks that know that small businesses rely on good press, and good ratings, and good reviews. You know if you’re going to go ahead and dive into that make sure you get a commitment that the positive views are going to be showing first or whatever is important to your business. Ask those questions and read those terms and conditions before you choose to opt in or opt out. Also, as a consumer or let’s say you’re looking into a business make sure you’re doing the same. Exactly, and the beautiful thing is that there is an answer to that. There is something that balances that peer review site and that’s The Clear Business Directory. The Clear Business Directory is not a peer review site. We don’t give you an “A +” or “D – “rating. It’s not a ratings site. Clients can’t leave reviews. It’s simply, who are you? What’s your business history? What’s your experience? 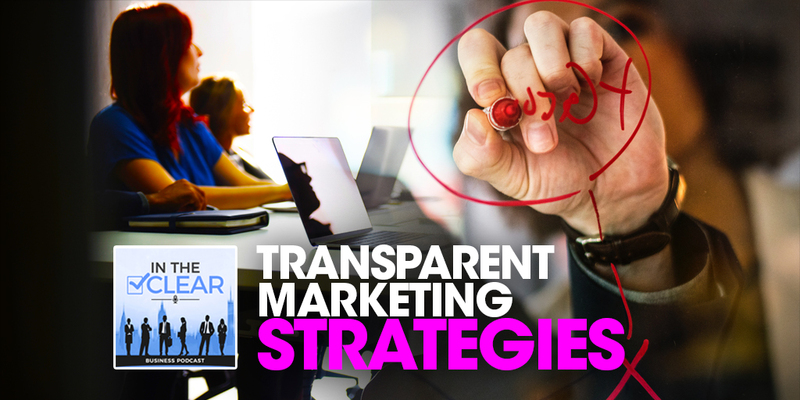 It allows your business to operate in transparency. So the end user can make a decision from that place. You get to promote that using the Clear logo. That, I think is a big key, you get promoted in a way that is valid for your clients and potential customers. It is also very useful for business to business kind of situations or if you’re looking for investors or whatever the case may be for your business it really does give you the opportunity to manage that process. Also, we advise people and require you get re vetted every year. So if there’s stuff out there on you that you don’t know about you’re in awareness of it and then we have strategies to mitigate that also. Exactly, and that’s one of the huge hidden risks of the peer raked site, is that if you are a consumer or if you are a client and you go into the peer ranked sites that doesn’t protect you from frauds and scams. It’s just a place for people to go and share their experiences good, bad, or otherwise so it doesn’t say anything to the business from a fraud and scam perspective. It only shares from a what was this one individual’s perspective as opposed to what was the overall experience of the business. Right, there’s no triangulation. Here’s the challenge Yelp gives you the impression that as an example, let’s say a company has five hundred different reviews and they’ve got four and a half stars. The end user then assumes that the average of those 500 reviews was four and half stars. That’s is not necessarily the case which is why they’ve come under such scrutiny. Companies that pay their dues may have 500 reviews but an average of maybe two stars but those other reviews aren’t showing. Then vice versa the ones that don’t pay may have phenomenal reviews and they’re all being hidden. So, that’s a big challenge. I say Phooey on Yelp for this, because even though it may be in the terms and conditions that people are starting to become aware of it. It doesn’t matter because people trust you to be the conglomerate of information. So, the end user assumes that the information that they’re reading is comprehensive and it’s not the case. That’s kind of crap. No exactly especially if you know maybe you could or what are your favorite restaurants and they’ve got phenomenal food and they got great reviews. But on the back end you don’t realize that they’re running some sort of notorious other side business out the back or the owner has got a history of supporting something that you don’t agree with. So it doesn’t show the whole picture. Right, I actually think Yelp should listen to the show that we did on being transparent. I think that would be a great help if you’re listening out there, Yelp. 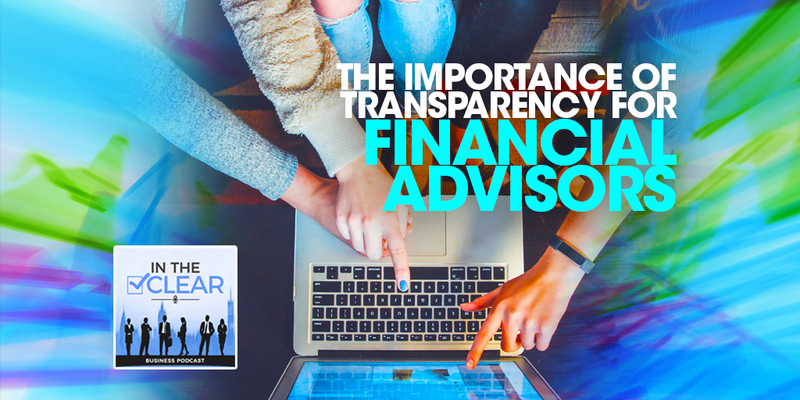 That’s a great suggestion and being transparent is really what it comes all about because again a peer review has hidden risks for business it doesn’t paint the whole picture. Even worse, to me and in the pecking order of things you know that peer review sites have their own problems and we talked about that in a previous show. But the peer ranked sites to me are far worse because you’re saying this like there’s some sort of a stamp of approval or rating system or something like that’s being given out. It’s just not truth. Yeah. The criteria used to get to come to that is faulty. So, end user beware! Exactly. Just know that there are hidden risks to your business out there and the peer review sites. Be leery of Yelp. Make sure you realize that it’s not the end all be all, especially for your own business. As always if you’re ready to opt out of those peer review sites and you’re ready to operate transparently. Check out the Clear Business Directory at www.clearbusinessdirectory.com. Make sure your business is in THE CLEAR.